If you want your garden to have the best quality patio’s, plants, lawn care treatments and features there is, our reliable gardening company in Bexley is the one for you. All of our plants, trees and foliage will have been expertly grown and maintained, while our patios and decking are available in some of the widest styles around. So if you want your garden to look its absolute best, let our gardening professionals in DA5 install superior products from the off. It’s not just moss and weeds that can make your lawn look second-rate, overused or undernourishment areas can also have an impact. Well-used and underfed lawns can often become brown and dehydrated before developing small bald or sparse patches. But if this happens to your garden then fear not, as our lawn maintenance team in DA5 are on hand to save the day. With an excellent lawn restoration and repair programme, our Bexley gardening experts can create a tailored gardening treatment to suit your garden’s exact needs. Following our intensive lawn care programme your lawn is sure to be left looking luscious and green. Sometimes no matter how hard you try, your garden never seems to look exactly how you’d imagined. That sculpted bush looks more like it’s been scalped, the luscious lawn looks full of weeds and the pretty flowerbeds look more like a mess. If this has happened to you then why don’t you call our gardening experts in DA5 for a little helping hand? 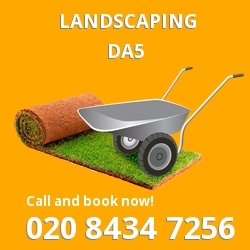 Our Bexley gardeners can help you to get the five-star finish that you wanted without any of the stress or hassle. So if you’re based in and around the Bexley area and need some help with your hedge trimming, lawn care, leaf clearance or planting, call London Gardeners on 020 8434 7256 today. 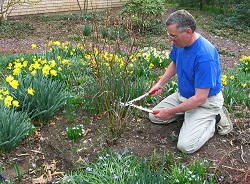 As not only can skilled hedge trimming and pruning make your bushes grow back healthier but it can also give your Bexley garden a five-star designer style. 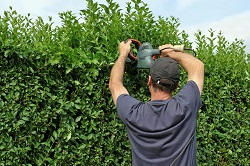 So if you want neatly pruned hedges, perfect swirls or just natural but healthy trees, our trimming and hedging team in DA5 could be just what you need. Using only the best gardening equipment, our garden maintenance team can guarantee that your perennials will be left in an excellent condition and that your garden will be left looking pristine. On the other hand, some people love the idea of gardening but struggle to put their ideas into practice. But this is where our friendly gardeners in DA5 can really come into their own. Helping you to plan and create your dream garden design, our Bexley gardening experts can then plant, maintain and care for it until you’re ready to go it alone. With no secrets or airs, our gardening professionals are always happy to help you on your way. So if you know what garden landscaping you want to do but aren’t sure how to get it, call our team on 020 8434 7256 today.